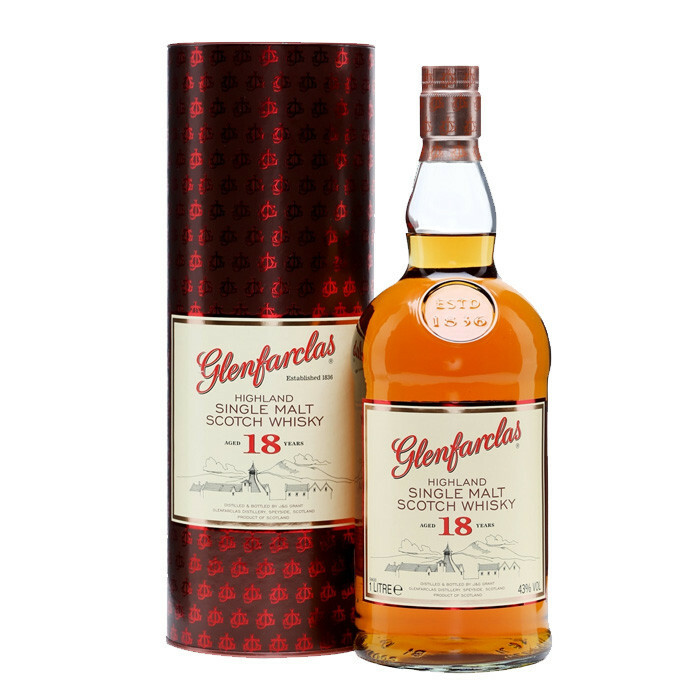 A 1 litre bottling of 18 year old Glenfarclas single malt initially released for travel retail, broaching the gap between the excellent 15 and 21 year olds. Nose: Honeyed apples, citrus, vanilla and sultana. Palate: Rich and full with toffee, rum and raisin, plum, warm lemon and hazelnut.